CIRCA 1919 - Aerial views show US Army barracks in Royaumeix. hd01:32CIRCA 1940s - View from an USAF Memphis Belle as it flies and lands during WWII. hd00:15UNITED STATES 1940s: Exterior of research facility / Engineers at work / Man with equipment / Hand adjusts dial on equipment / Radar waves on screen. 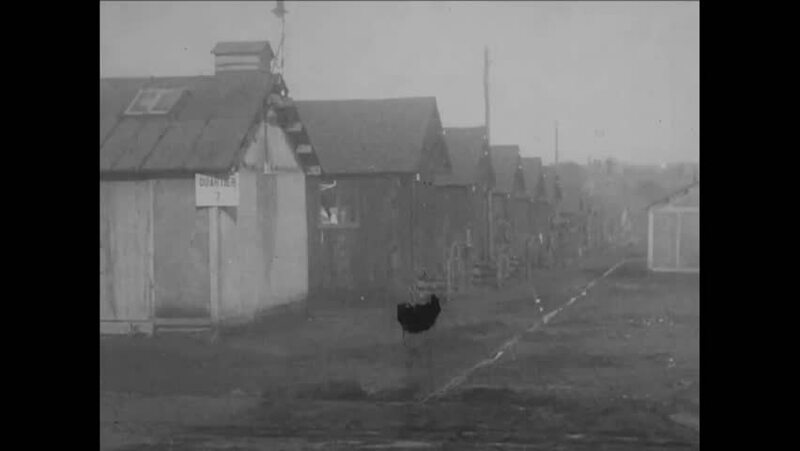 hd00:59CIRCA 1960s - A street of evacuated houses is shown while the narrator explains the reasons behind in the 1960s. hd01:42CIRCA 1925 - A lab technician takes samples of milk, and a worker disassembles a centrifuge, at a dairy factory in the Netherlands. hd01:30CIRCA 1950s - M1 Rifle is presented with a break down of its parts and their purposes. hd00:31CIRCA 1918 - Troops are shown in trenches at a camp in Meuse and ruins are shown in Esnes in France in World War 1.